Are your kids dying of boredom this summer? 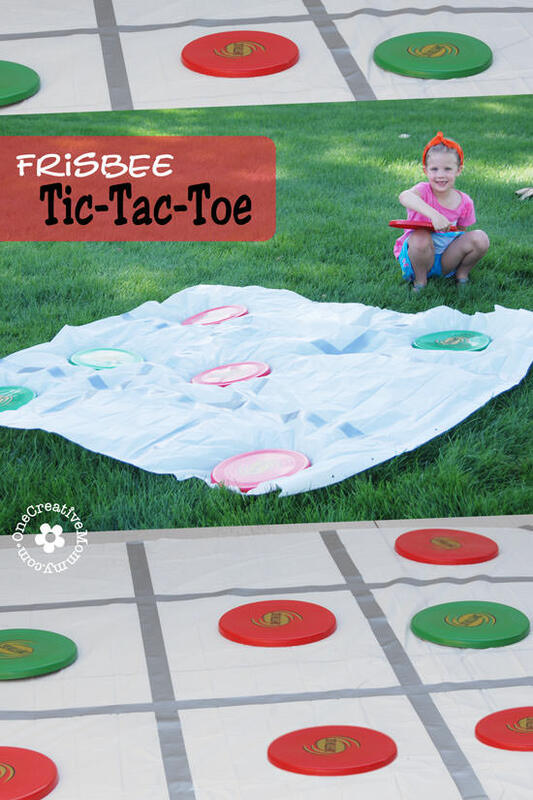 Get them out of the house and trying something new with Frisbee Tic-Tac-Toe! Most kids know how to play tic-tac-toe and throw a frisbee, so why not combine the two for a non-traditional spin on some classic fun? I shared this idea several weeks as a guest post on another site, and now I’m sharing it here in case you missed it! This game was originally played last summer at our family reunion, but I’m giving you the plans to create this fun game in your own backyard. RELATED: Family Reunion Jeopardy, Pet Rock Tic-Tac-Toe, 40+ Crafts for Kids! The object of the game is the same as regular tic-tac-toe. The first team to get three of their own frisbees in a row on the board wins the game. I hope you and your family have a great time with this game! fun game :) would be great for all ages! Thanks, Heather. My frisbee skills definitely need a little refreshing. I think my kids would beat me–hands down! My son and his friends are all into Frisbee Golf right now :) I love this Tic Tac Toe game! It takes some coordination to learn Frisbee and this is such a fun and easy way to get the kids doing that! Cool idea Heidi! Thanks, Shari. Frisbee Golf takes a lot of skill. I bet they’d have a lot of fun with Frisbee Tic-Tac-Toe! 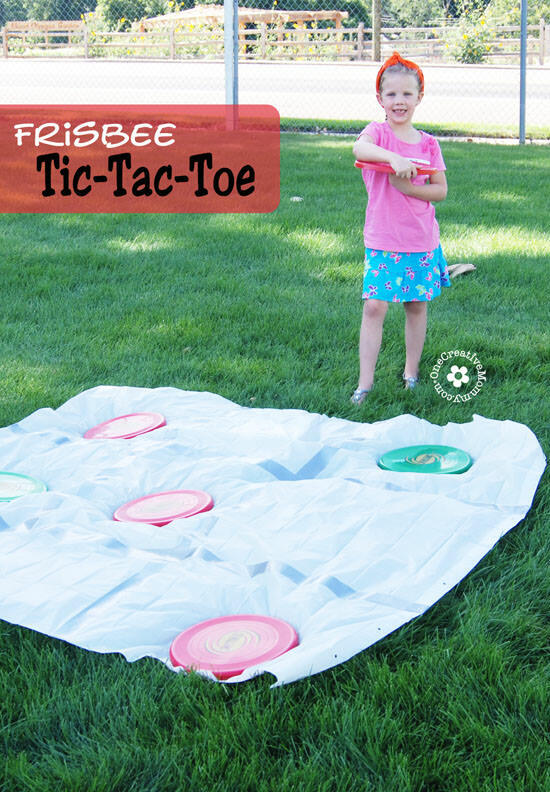 I love this idea – giant versions of games are so much fun in the summer and this is a heck of a lot cheaper than buying giant tic tac toe! Thanks, Clare. We played lawn scrabble at the reunion, too! You just reminded me that I never posted the rest of the family reunion games! This is such a cute idea! Lucky for me, I already have all the frisbees! Just need to set it up. Thanks, Krystal! I’d love to hear if you give it a try!